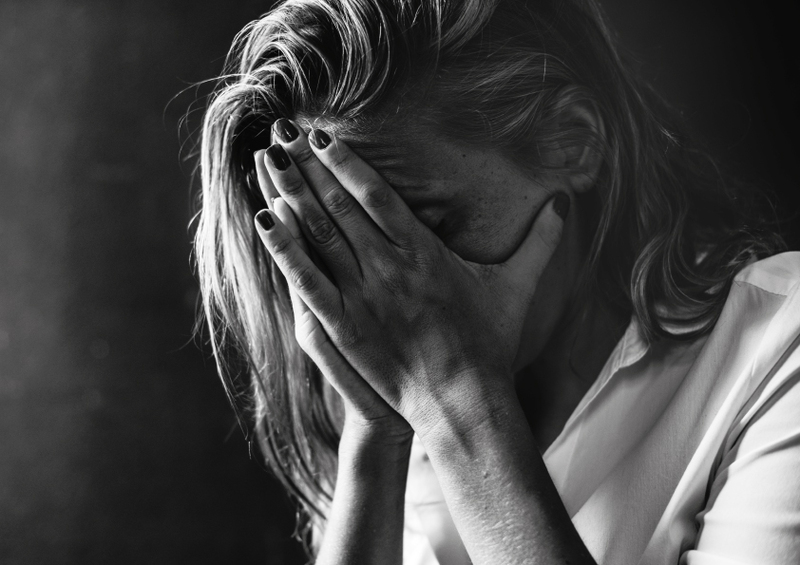 Depression is the most common form of emotional change that patients with multiple sclerosis begin to experience once they have been diagnosed. It can be an absolutely overwhelming state, one that’s typically mistaken for grief. When depression kicks in, it’s very important to give it the exact same importance as you would with other health problems. The more people ignore the symptoms of depression, the more likely they are to commit suicide. A lot of people think that depression first sets immediately after a person has been diagnosed with MS. Counterintuitively, it can kick in at any moment. That’s because multiple sclerosis is a condition that evolves with the passing of time, which means that symptoms can gradually get worse. As with most severe health problems, it may take a while for the patient to realize and fully understand what this condition implies. Depression can appear when a person begins to lose control over their movement, for example. It’s a drastic change that people have to learn to cope with, but the mental process takes a high toll on someone that suffers from MS.
People that lack proper psychological education tend to believe that people who suffer from depression have a very weak character, and are often tempted to judge such cases based on superficial life experience. People who suffer from depression are not weak, and should not be treated as such. It often takes a very difficult imagination exercise to put yourself in the shoes of a person who suffers from MS, which is why it’s so difficult to understand what that person is going through. Considering that depression is only something people with weak character experience often leads to shame. Consequently, people who are depressed are too ashamed to admit it, and fail to seek professional help. Another common misbelief is that depression is something one can avoid through sheer willpower. If that were the case, a lot of people could avoid falling into the trap of depression. Once people understand this fact, they can be more open towards helping someone who suffers from depression. These two terms are often confused, but there is an easy way to recognize them and tell them apart. If a person is experiencing short episodes of depression, but they are overcome when said person engages in other pleasant activities, that’s a sign they are dealing with grieving. Depression, on the other hand, causes people to lose pleasure in the things they normally enjoyed doing before being diagnosed with MS. They are in a dark state of mind that fails to go away, no matter what that person’s doing. Severe changes in one’s appetite. People who are depressed tend to eat a lot more than they used to, while others avoid eating at all. Self-loathing is another symptom of depression. The person who suffers from MS can begin to feel useless, worthless, and unworthy of any attention. This generates feelings of self-hate. Suicidal thoughts are a clear sign of depression, and one that shouldn’t be neglected if it shows up more than once. Disruptions of the sleeping patterns are very common among depressed MS patients. People that are depressed will either have trouble falling asleep because of their overwhelming thought, or may constantly wake up during the night. Alternatively, these people tend to sleep a lot, as to avoid having to deal with the pain and despair that MS causes. People that suffer from depression have a very hard time concentrating. They also show a loss of interest in activities that they enjoyed prior to the MS diagnosis. Psychotherapy can have amazing benefits on people’s mental health. However, to truly get the best out of these therapy sessions, a patient needs to have an open mind. If you attend therapy sessions with the constant belief that it won’t work, you will fail to open up, speak your mind about the things that bother you. Even more, psychotherapy can be a painful process. During therapy, people tend to uncover hurtful things about their past, and not everyone is up to that challenge. A lot of people think that therapy is for the weak, but it actually requires a lot of bravery to explore the hidden corners of the mind. During the therapy session, the mental specialist will try to explore in depth the feeling of a person who suffers from depression. For the session to work, people have to open about how they really feel, so that the therapist can guide every discussion into a direction of healing. The most important part of managing depression is not shutting people out. Even if you suffer from MS, there are people in your life that would do anything to make you happy and don’t wish to abandon you no matter how severe your health problems are. The faster MS patients learn to understand the difference between pity and emotional support, the less chances they have of falling into the claws of depression. Depression is a complicated emotional state, and one that shouldn’t be taken lightly. Depression is the number one cause of suicides all over the world, so it’s important for people to keep their eyes open when one of their relatives or friends suffers from MS. Identifying the symptoms of depression and helping a person by giving them the emotional support they need might just save that person’s life. One word for feelings of sadness, irritability, hopelessness, helplessness, anger and discouragement is depression.